This week I’ve had two clients for whom overcoming procrastination has been an issue, this set me thinking, how big and serious an issue is procrastination anyway? Looking back over my years as both a therapist and an educator of therapists I’ve seen the problem occur again and again. Even though it’s usually part of a wider issue, I thought for this month’s blog I’d take a look at overcoming procrastination. Overcoming procrastination – What is procrastination? Typically dictionary definitions define procrastination as ‘to put off or defer a task’. For our purposes we will use a definition which explicitly includes the idea that to procrastinate is detrimental to the self. A typical example would be a student who puts off writing an essay and then has to stay up all night swigging on endless energy drinks to avoid failing. Overcoming procrastination – Causes of procrastination? There are several causes of procrastination. A person may experience different ones at different times and to varying degrees. Below I give the four most commonly identified by research. · Fear of failure (Solomon & Rothblum 1984, Steele 2007). – Nobody likes to fail even though getting things wrong is inherently a part of the learning process. Fear of failure can be due to a general lack of confidence or a lack of confidence in a specific situation. Whichever at its base is the logical “If I don’t do anything I can’t get anything wrong”. · Self-efficacy (Solomon & Rothblum 1984, Steele 2007, Wolters 2003) – This refers to a person’s ability to do the task. This differs from fear of failure in that the task at hand will always be in a stretch where efficacy is the issue, whereas fear of failure can occur even with task is within the procrastinators abilities. Typically self-efficacy issues arise when the person does not know how the task should be conducted, or the task is too large from them to see how it will end, or because it is so far beyond their abilities that they cannot see themselves doing it. · Aversion to the task (Solomon & Rothblum 1984, Steele 2007). – This means that the task is unpleasant in some way (boring, dirty etc) and as such people delay doing it. · Achievement motivation and impulsivity (Steele 2007, Wolters 2003). – With this there are two personality characteristics which may affect a person’s ability to get things done. A person who is ‘achievement motivated’, actively interested in obtaining qualifications, skills, trophies and knowledge is less likely to procrastinate. However, someone with low impulse control (who could be the same person) will have higher levels of procrastination due to being easily distracted, sometimes onto things which have a secondary effect on productivity. How you might approach tackling your procrastination may change with the cause of that procrastination. Below is a list of possible strategies which you may find helpful, and for which causes they are more likely to be better. How you might approach tackling your procrastination may change with the cause of that procrastination. Below is a list of possible strategies which you may find helpful, and for which cause they are more likely to be better. · Goal setting – Imagine seeing yourself when the work is done. Visualising a reward: a good grade, the time you have released by finishing early, may help. In addition, imagine yourself overcoming the challenges along the way to completing the task. This is as important as seeing the end result as it is often one of the stages along the way which is the true barrier. This is good most of the time but especially when self-efficacy and fear of failure are the causal factors. · Task planning – work through the entire project/task and break it down into small ‘Bites’. This can prevent the task from being overwhelming. In addition, it is good at providing a sense of understanding and ownership over the task, which will make it easier. This is good when self-efficacy issues are a problem. · Self-imposed deadlines (Ariely & Wertenbroch 2002). – Putting your own deadline in ahead of an external deadline has been demonstrated to reduce procrastination. This is especially true when there is some punishment attached to missing your own deadline. · Desensitization. – If you have something short but unpleasant to do you will find that the old mantra of “do it!” is often the best. However, should that prove ineffective then calming yourself down with a recording of relaxation or Mindfulness and then imagining going through the process will help. Should this not, you may have to consult a therapist. · Regular breaks – If you have a long dull task to complete then giving yourself regular breaks can help. This both breaks the task up, making it less intimidating, but also allow for a resurgence of mental energy. With most work 50 minutes with a 10 minute break is a good formula. · Developing resilience – If you feel that fear of failure is the issue then a cognitive approach may be best. This involves identifying what you currently believe, for example “if I get it wrong that would be awful” and reworking that to something more resilience orientated “if I get it wrong that would be bad, but it’s not the end of the world”. Then repeating this as a mantra as you head into the task. You may find it helpful to write it down and on your break reminding yourself of this. · Reduce distractions – this is really for those people who feel that they are highly impulsive. It may require you to; turn off your mobile (check in on breaks), go to the library, put a ‘do not disturb’ sign up, put on music to cut out external noise (I usually recommend instrumental music as lyrics can in themselves be distracting). Plan work for times and days when others are likely to be engaged elsewhere. 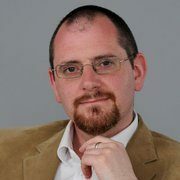 The author – Matt Krouwel is a hypnotherapist with extensive experience of confidence and anxiety work. Steel, P. (2007). The nature of procrastination: A meta-analytic and theoretical review of quintessential self-regulatory failure. Psychological bulletin, 133(1), 65.